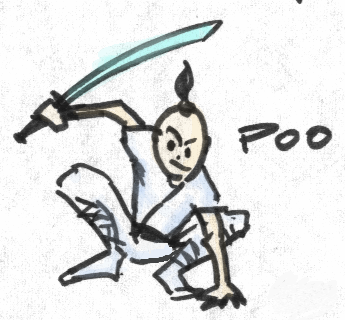 A nice sketch of Poo in an action pose. Frightbot. Pencil with 'Touch' brush-tip markers.